A lost pet is a frightening situation with often devastating consequences. This is why the team at South Fork Animal Hospital considers HomeAgain microchip lost pet IDs a fundamental way to protect your pet and an important part of responsible pet ownership. 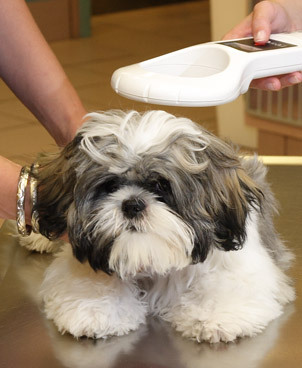 Each microchip registers the animal with a unique identification number, which is filed in a database with your contact information. The contact information can be updated any time, and it is important to remember to do so whenever your information changes. If your pet is lost, the microchip can be scanned by animal control officers, at shelters and at veterinary hospitals in the U.S. and in many foreign countries. HomeAgain membership offers additional benefits such as proactive pet recovery and free access to ASPCA Poison Control. HomeAgain also comes with services useful to pet owners such as their National Pet Recovery Database, Lost Pet Specialists, Rapid Lost Pet Alerts, Lost Pet Medical Insurance, Travel Assistance for Found Pets, and more. We will also provide you detailed instructions on the medication's use, discuss any side effects or interactions and even give your pet the first dose if possible. You can feel confident all the medications we dispense were obtained from safe, reliable sources and stored under the right conditions. Ensuring you have convenient and timely access to competitively priced medications and other pet care products is an important aspect of our veterinary practice. Refills are easy, too. Simply give us a call at (631) 537-0035 or request a refill online. 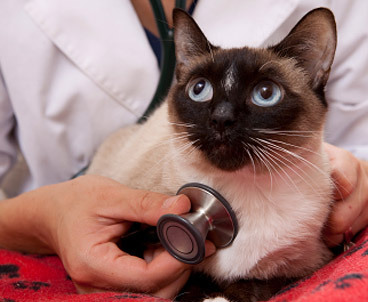 To provide you the most comprehensive veterinary care possible, we also offer house calls on a case-by-case basis. Simply, there are times when it is best you and your pet remain at home, where you both are most relaxed and comfortable, and we come to you. Services we can provide include wellness examinations, vaccinations, routine medical care, blood draws, and other general services that do not require diagnostic and other medical technology. Certainly the most difficult, though most important, house call we make is when a beloved pet has reached his or her last day. Being at home, surrounded by loving and familiar faces, is a comfort to you and your pet and an important aspect of our veterinary services. We encourage you to talk with our veterinary team about these issues before they become an urgent matter. Find out about the options we offer you, including at-home euthanasia, cremation and grief counseling, make some key decisions ahead of time and ask us to add this information to your pet's record. Taking the time to plan, as challenging as it may be, will lessen the pain and stress for you and your pet. All of us at South Fork Animal Hospital will do our best to help you prepare for these important issues with the compassion and sensitivity they require. 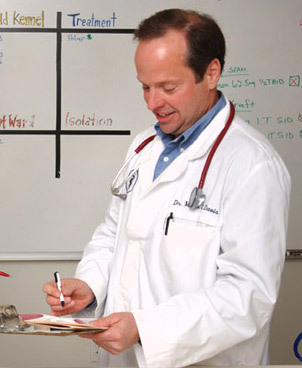 The veterinarians at South Fork Animal Hospital are happy to provide Interstate and International health certificates. Because each destination country has different requirements for your pet's entry, we ask that you investigate your destination's requirements prior to your appointment. To know what is required, South Fork Animal Hospital recommends contacting the destination country's consulate or embassy. We cannot assume responsibility for ensuring all the requirements are met for your particular situation and cannot be held responsible for quarantine, denial of entry, or costs incurred due to unfulfilled requirements for your pet. International Health Certificates are issued by USDA-accredited veterinarians only and must be endorsed by the state's USDA Veterinary Services office. Along with an international health certificate, there may be additional requirements for traveling abroad. Please take some time to become familiar with the international pet travel requirements specific to your destination.